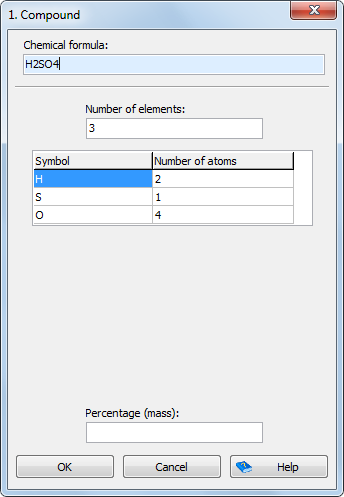 When specifying the material as a mixture of elements, you have to define the number of elements, element symbols and mass shares in percentages. When entering the material as a compound, you have to enter the number of elements, element symbols and the number of atoms. In Angle 4 you can enter the compound using the chemical formula – simply type it in the “Chemical formula” box and Angle will automatically break it down to symbols and atoms. The third way to define a custom material is as a mixture of compounds. 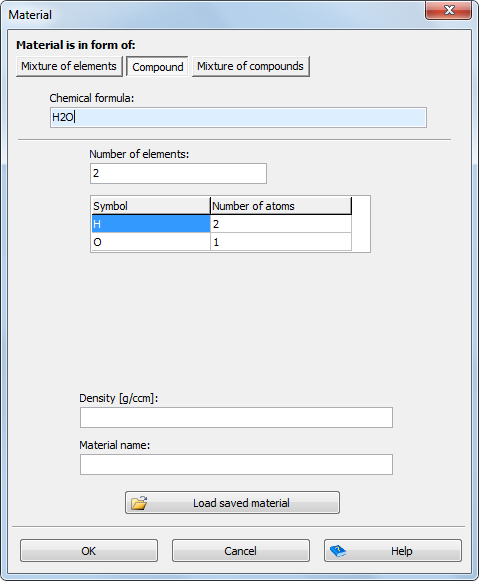 First, you need to enter the number of compounds. 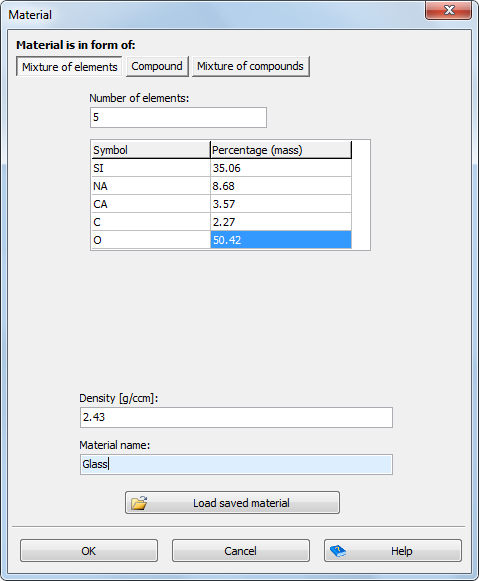 Then, you have to define each compound, as well as its mass share in the material. Finally, regardless of in which way you define a material, you have to enter the material density and give it a name. After you enter all material parameters click on the “OK” button to complete the procedure. At this point you will be asked if you would like to save the material to disk, for further use. Knowing material composition as well as possible contributes to the accuracy of the calculated results. However, bear in mind that in work with regards to gamma-attenuation, it is not necessary to know the exact material composition, particularly not for materials in trace quantities. From the material entry dialog box, you can load any previously saved material by clicking on the “Load saved material” button and choosing a material file.